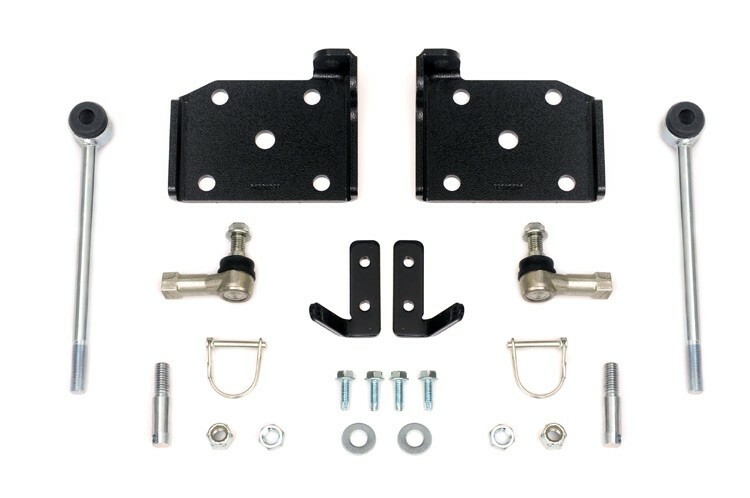 Sway-bar quick disconnects give your Jeep better articulation off road with the pull of a pin, but allows you to keep on road handling and stability. Our new links fold up and secure out of the way when not in use. Quick pull of the pin and you're trail ready. ONLY fits models with 4in - 6in of suspension lift.